UPSCALE BIG CITY LIVING ON CHARMING REYNOLDS LAKE. CONTEMPORARY OPEN CONCEPT with GREAT VIEWS on all floors. The Kitchen features JENN-AIRE appliances with overhead lighted hood, granite tops with bar seating, and a dinette area overlooking the lake. 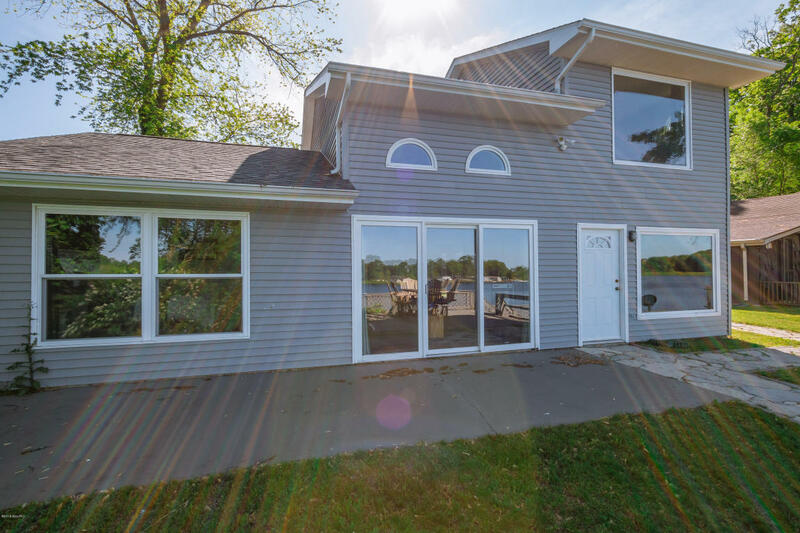 The entire main level has tile floors, 1.5 baths,living room and 2 bedrooms.The large upper level master bedroom has a walk-in closet,spacious bathroom with dual sinks, and great view of the lake through a large window.PARTY & ENJOY the OUTSIDE on 3 different level decks leading down to 78'of lake frontage. This home was remodeled in 2015 and includes new roof, appliances, AC,furnace,well,septic,furnace,central vac, Generac whole home generator,and nicely appointed furniture makes this home turnkey and move in ready.